A good high tide and no wind make perfect conditions to view any of the shorebird roosts around the bay. This time I went with friends around to the Mullens roost. It is possible to view this roost by walking there but you can only see a small number of birds unless you can kayak or canoe to the opposite bank. We got an early start and were on the water about quarter past six. The reflections were perfect making even a common bird like this Silver Gull look rather special. Around at the roost the reflections were even better. 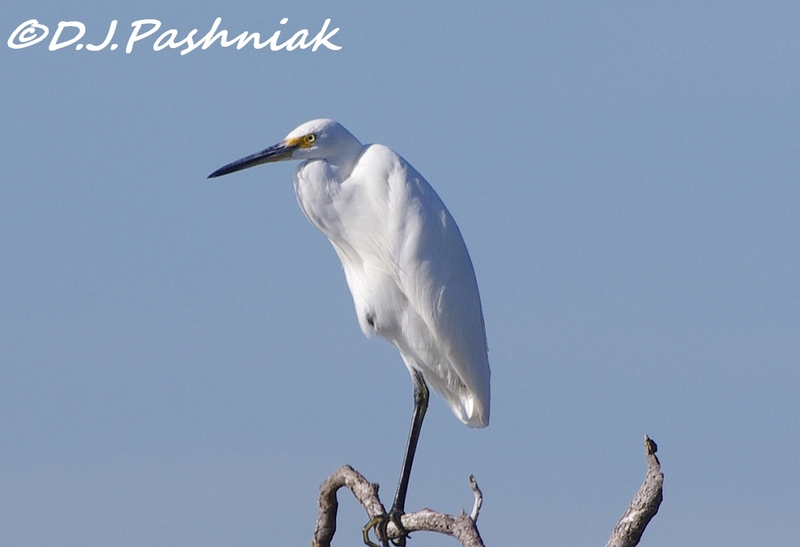 This was one of the two Little Egrets that were around there and roosting in the mangroves. One leg tucked up in front makes a funny looking little pouch under the feathers. The larger shorebirds were spread out along the water line on the far shore. I have never yet taken photos that I am really pleased with on that side of the bay. Brownish colored birds and brown colored vegetation are not very dramatic! Also, the water is very shallow on that side and it is not possible to drift in very close. If you get out of the kayak then the birds usually move off elsewhere. 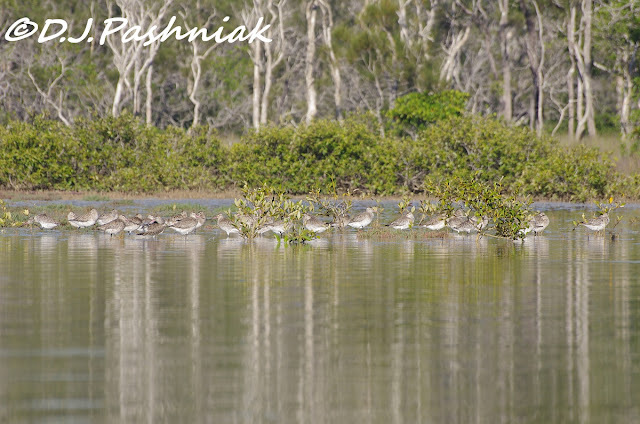 This is a line of Godwits. 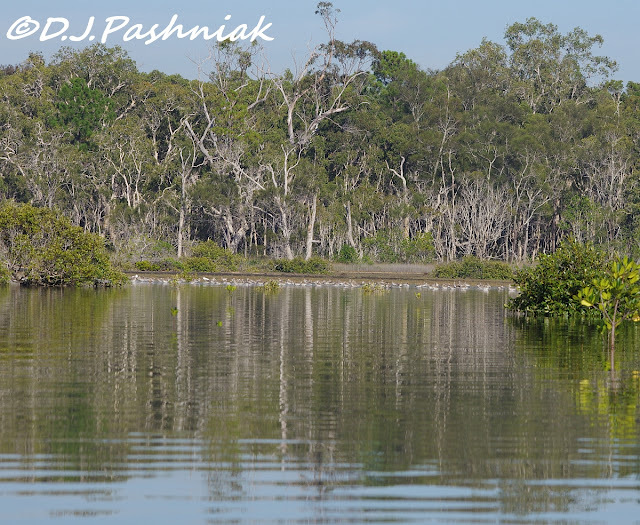 We then paddled slowly to the far end of the bay where the smaller shorebirds often roost. We got out of the kayaks to try to get closer to the little birds. 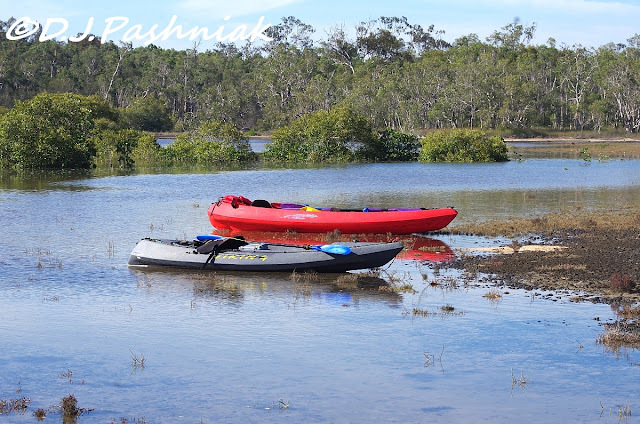 These are both sit-on-top kayaks - the red one is a two person kayak. 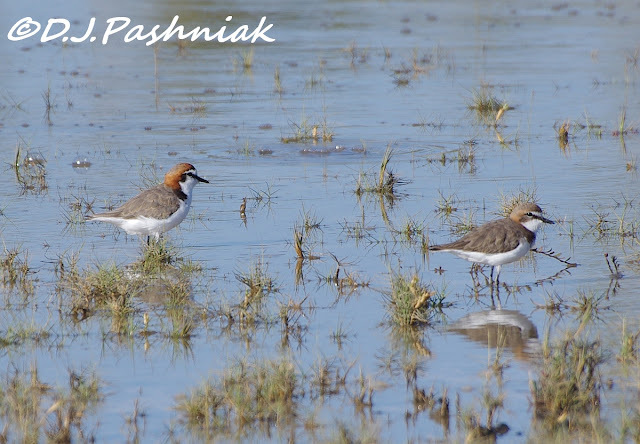 Red-capped Plovers are very curious and will often come closer to check you out! These ones were in among the salt marsh vegetation in the shallow water. There is one Lesser Sand Plover in this first group. There were a number of small birds on the far sand bank and one of my friends walked out in the water to try to get closer. It made a great photo with the reflection in the still water. A special thank you to the friends who went with me and helped me! Gorgeous shots of the shore birds and the scenic surroundings ~ more inviting than Snow! Beautiful birds and Such a lovely place, Mick!! I would love to spend time there!! Terrific captures for the day!! Thanks, as always, for sharing the beauty and the fun!! I hope you have a great new week!! Wonderful Mick! I kinda' like the LBJ birds (little brown jobs) as you know; I would be very happy at this spot. It's fun to think about how we have the same birds on our coast as you do so far away. great gull and egret shot! love all the shorebirds you get to see there. You picked the best day to kayak good tide no wind unlike today raining which we need a lot of. Absolutely stunning images. 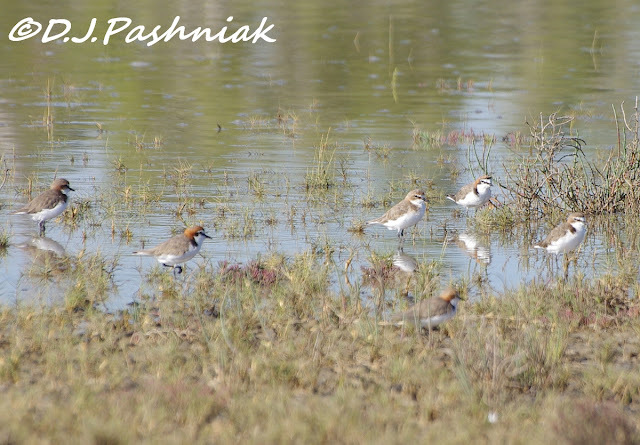 That red capped plover is a new one for me. They're really cute. Well worth the early start. Lots of good photos. Hello Mick, beautiful scenery and a cool place to kayak. I would love to see all these beautiful birds. Wonderful collection of photos! Have a happy week! WOW! You just made me drool. 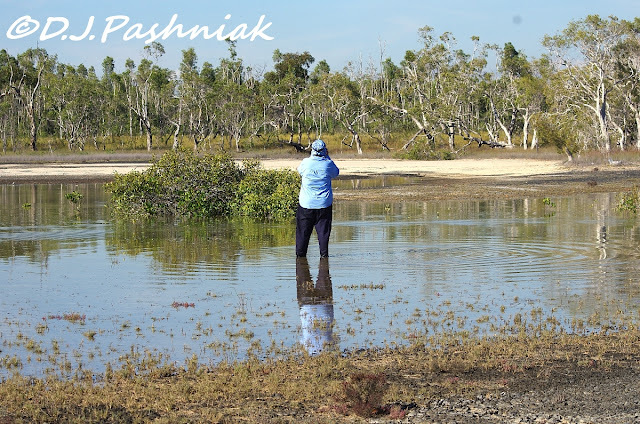 I love paddling and birding and especially doing both at once. Great pictures and interesting birds. Thanks for sharing. I wish I could reply on your blog to your post but it requires me to set up another google account which I do NOT want! Your blog posting is very interesting! Great shot of the Silver Gull - I think we can forget how good looking some common birds are at times. I think I may have over generalised a bit too much with the 'we dont see them in breeding plumage" - maybe I should have said 'I dont see them!" Your trek to this spot is always nice. And the birds you find are always good ones. I'm trying to ID the differences between the two plovers. They look similar. 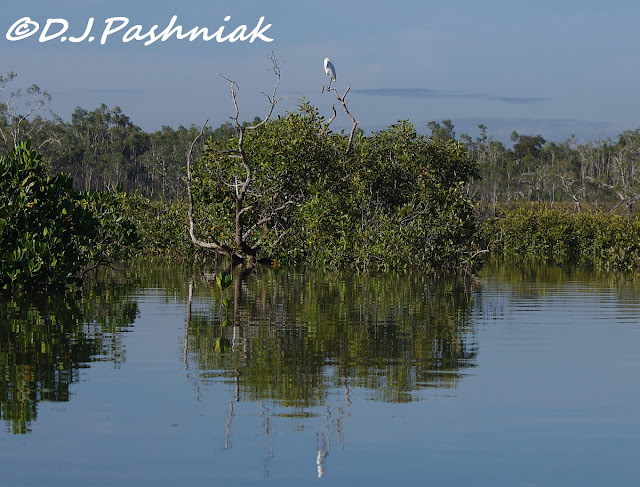 As I look at your wonderful photographs I can smell the salt air and hear the calls of shorebirds. Great stuff, Mick! 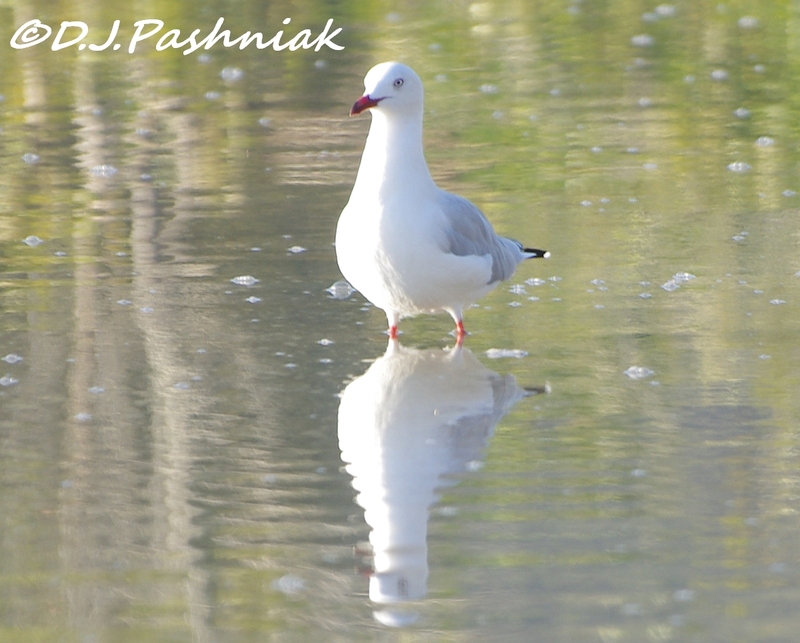 The Silver Gull and reflection are very nice. Looks like you had a great tide/wind day for kayaking. That's a great way to poke around the mangroves. Beautiful view and place. Birds are wonderful photographing subject. What a beautiful day! I love the birds and the reflections.